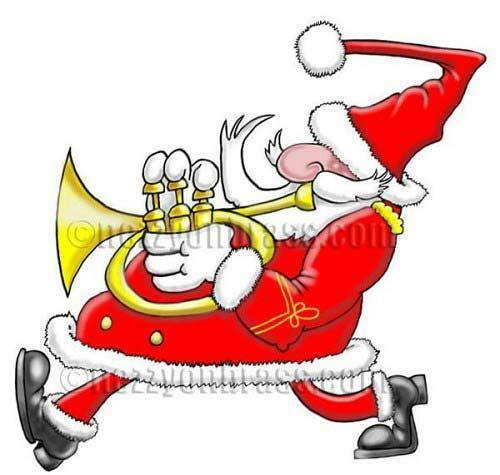 Finding the perfect gift for those who are artistically talented can be a challenge. Gift ideas for artist minded people are not difficult but you want to buy quality that will be really appreciated. Artists need something that can feed their creativity or to help nurture their budding talent. Paints, brushes, and graphics tablets are obvious choices. But how do you choose the right one? Choose a gift that is highly rated, quality yet affordable that will be useful to the receiver. For an artist, there is nothing better than receiving a creative gift and they will love you for being so thoughtful. We have 10 highly rated ideas we chose that are sensible gifts yet are quintessential supplies for the creative mind. Coloring isn’t just for children. Watercolor pencils are used exactly as regular colored pencils, but they take coloring to the next level. 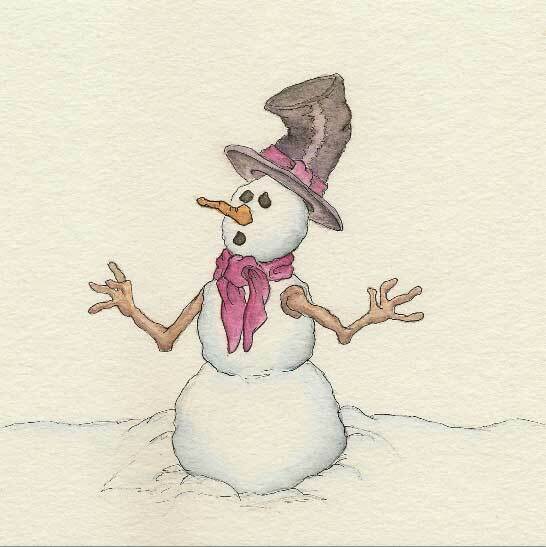 Color your drawings wet or dry with amazing vibrant pigments. Blend the colors or layer them. They can be used in conjunction with watercolor brushes and are ideal for Adult coloring books. 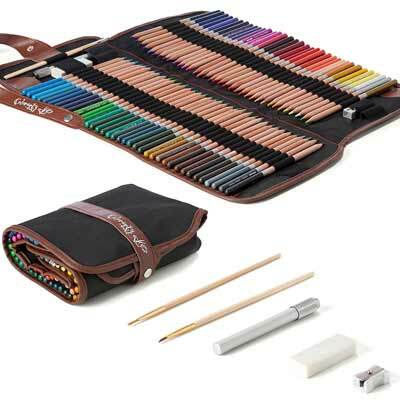 A luxury canvas bag holds 72 pencils, two paint brushes, pencil extender, pencil sharpener, and an eraser that fits neatly in this roll-up bag. A leather thong and snap secures it. The 7-inch non-toxic pencil set is a wonderful gift for adults or children. Who would think that fountain pens could produce such amazing results? The artist in your life will be encouraged to create beautiful calligraphy and express themselves through writing. 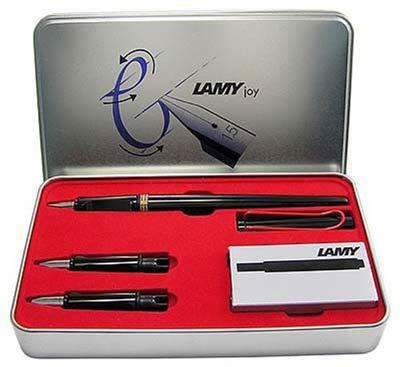 The pen is made of ergonomically-formed plastic with a soft black lacquer finish. Three stainless steel interchangeable nibs are perfect for different types of calligraphy. I use the Lamy brand as my own first choice for cartooning freehand on paper. The barrel grips have two flat edges specially designed for prolonged user comfort. The ink flows easily and the nib to paper experience is perfect to achieve the best results (I drew the outline of the Santa image in this article with my Lamy calligraphy pen using the 1.1mm nib). I guarantee that you will be impressed with the feel of this pen in hand and the quality of line it produces. It also produces fantastic lettering and is an amazing pen for general writing. Choose from 1.1, 1.5, or 1.9mm nibs. Five ink cartridges are included in the charming gift box. Letters, place cards, invitations and more can be created with a touch of individuality. For the graphic artist of all ages, drawing, painting, and editing photos can be done in one place. The tablet plugs into a laptop via the USB port of a Mac or PC. The stylus pen replaces your mouse as it glides over the tablet, essentially turning the laptop into a digital drawing canvas. If you are buying a gift for an artist this range offers four great packages that can suit any artists style. There are also two sizes available in the range with a small and very compact tablet plus a medium size. I have A Medium Intuos Art tablet as my ‘mobile tablet’ as it is wafer-thin, sturdy and compact. It suits my on the go style of drawing when I am away from the studio. 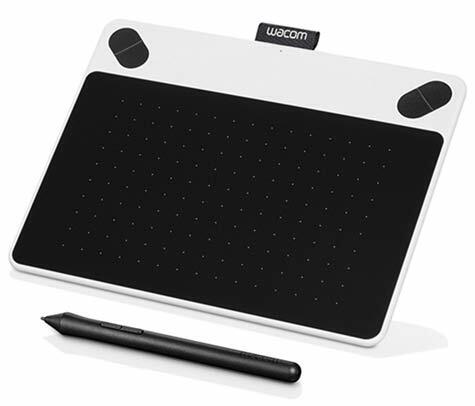 With a great build and superb Wacom technology, I find this an invaluable drawing tool that is simple to set up and use on the go. No paints, no erasing, no mess. Easily delete mistakes. Create shortcut keys for repetitive commands. Software and online tutorials are included to get you familiar with the tablet functions. 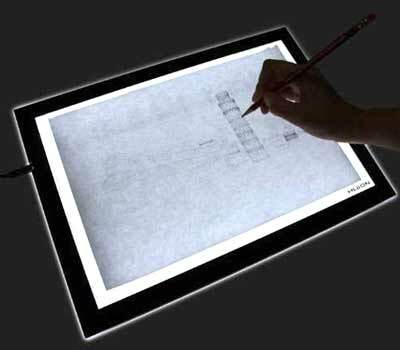 Using a translucent light box makes tracing an image fast and easy. The acrylic surface mimics that of a smooth glass panel. 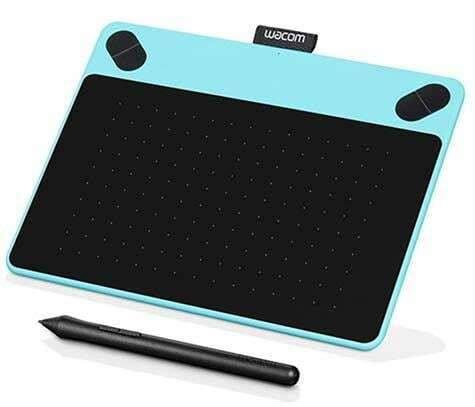 I have used this light pad many times for caricature work and it has saved me hours of work. Getting the basic shape and features of a face is easy. Tracing scenery and difficult street scenes is a breeze and takes away the pain of figuring out perspective. It is a simple but fabulous artists tool. Very little heat is emitted even after hours of use. Up to 50,000 hours of lighting gives this pad a long life expectancy. Power it up by plugging it into any USB port. Choose from two levels of brightness. The USB cable, instruction sheet, six pieces of tracing paper, a drawing board clip, and a portable holder are included. Painters will love this block of artist-grade watercolor paper made from 100% cotton fibers and gelatin sizing. 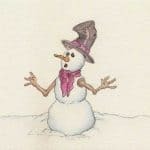 Twenty sheets of 140-pound, natural white, and acid- free paper are ideal for watercolor, airbrushing, acrylic, or gouache. All four sides of this 9×12 paper are glued to prevent warping. The bumpy texture captures the paint and water for a firm hold and less dripping. When it’s dry, gently slice through the glue to separate the paper from the block. 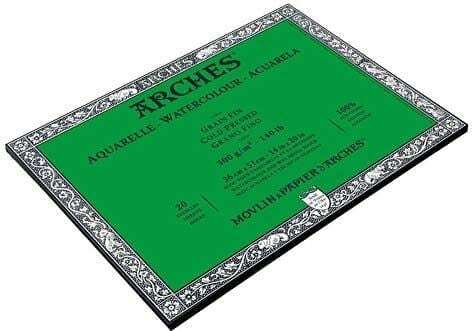 Arches is one of the top manufacturers of quality watercolor paper and this will really appeal and motivate to any artist. This is the ideal gift for the budding artist who’s ready to bloom. 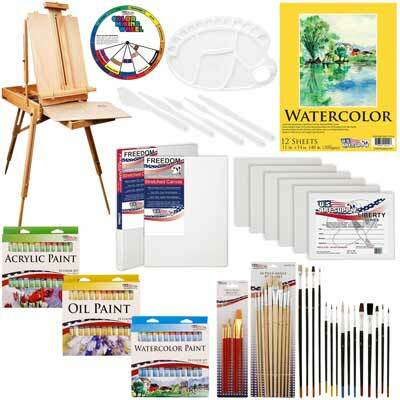 Watercolor, acrylic, and oil paints (24 of each), 32 assorted brushes, color chart, eight canvases, painting pad, color palette, 5-piece palette knife set, and a portable beech wood easel is the beginning of a perfect art studio. Put supplies in the easel drawer, fold it up, attach the leather carrying strap, and you’re now an artist on the go. It’s compact, lightweight, portable, and adjustable to fit adults and children. 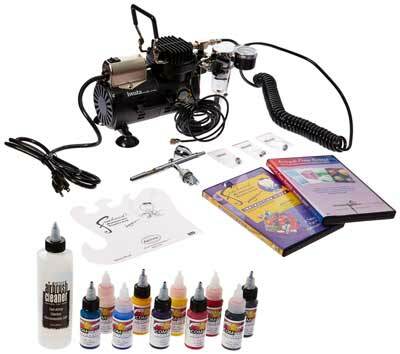 A starter kit for the artist who wants to airbrush is a splendid gift. Everything to begin airbrushing is here: compressor and cup, air filter, paint, cleaner, freehand template, and two instructional DVDs will make this a gift they’ll remember. The quiet compressor has an auto shutoff as a safety feature. Use it for applying makeup, body painting, or painting on other surfaces like paper or metal. The adjustable PSI lets you control how and what you paint. The beauty of this set is that it is a one-stop shop. 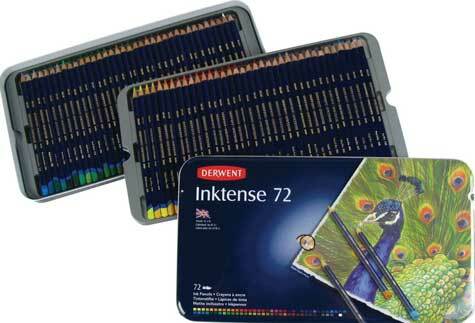 A complete set that can be immediately set up, used to create imaginative artwork and enjoyed. 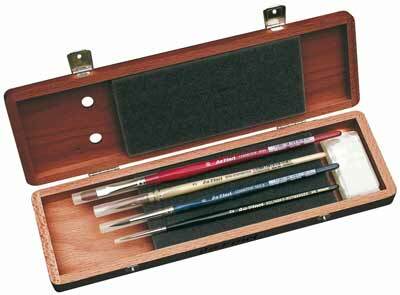 This beautiful mahogany box set of four deluxe watercolor brushes is a wonderful stocking stuffer or birthday gift. 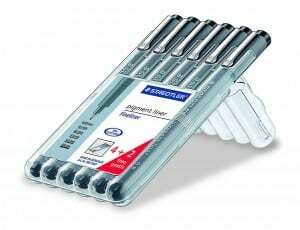 The brushes are safely wedged in a foam rubber insert which protects the delicate brush hairs. Made with synthetic and natural hairs, they don’t shed during painting. The handles are smooth and clearly marked. The compact box is portable which is great for beginners traveling to art class. A free bar of brush soap is included. An added bonus is that this set is certified green. 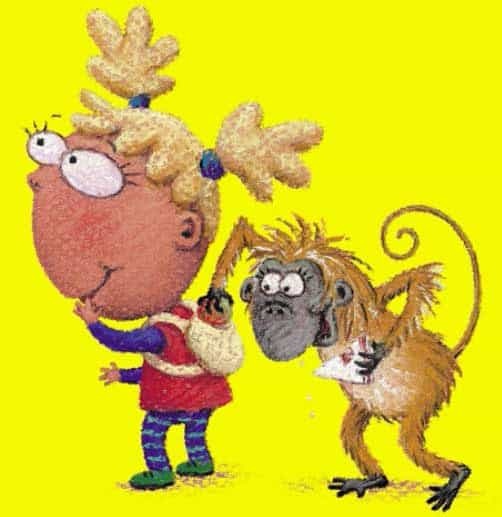 Storytelling through a graphic novel is an art form unto itself. 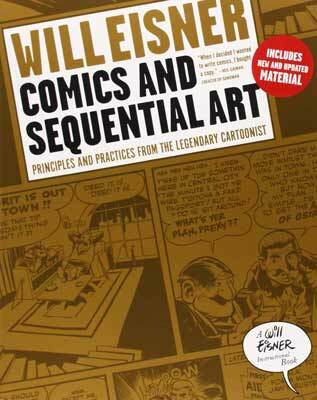 Veteran writer, Will Eisner, shares his knowledge and experience in this book. 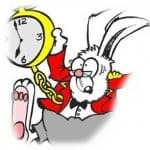 He gives advice, theories, and ideas of how best to bring your stories to life through graphic storytelling techniques. Showing how to add a visual narrative to graphic novels and comic books, the book has eight lessons explaining the principles and practices that should be applied to create realistic characters in a believable fantasy world. For the aspiring comic book artist, this book is a crash course in the art of graphic novel creation. Artists need to carry their supplies with them to work or class. A portfolio case that expands an extra six inches holds art supplies, foam boards, samples, presentations, and more. It makes transporting multiple supplies easy. Bulky and awkwardly shaped materials fit easily through the large top opening. 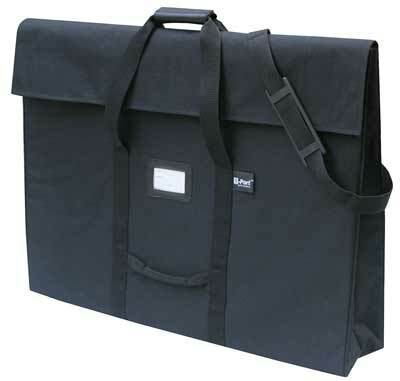 Tear-proof, waterproof, and durable, this tote protects photos, monitors, documents, and more. Carrying it is comfortable thanks to the leather handle and shoulder strap.